NEWS RELEASE [Oliver, BC] With so many lists to make at this time of year, decision-making can be a challenge, but Tinhorn Creek Vineyards makes holiday wine selection easy, with its award-winning lineup. Hosted by Wine Press Northwest magazine, the Platinum Judging is only by invitation and includes wines from BC, Washington, Oregon, and Idaho that have been first been recognized with a gold or better award at other defined competitions. The resulting winner list is a ‘best of the best’ in the Northwest and is a fun way to discover great wines right before the holidays. Wine Press Northwest editor Gregg McConnell notes "Earning a Platinum is an outstanding accomplishment, and Double Platinum is an exceptional honour." 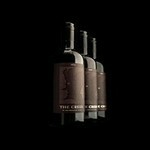 Oliver, BC (August 21, 2017) Tinhorn Creek Vineyards is proud to announce the release of The Creek, its highly anticipated flagship wine. A toast to 23 years of experience in farming and winemaking on the southern Okanagan Valley, The Creek is an elegant, luscious and modern wine that reflects both place and time. Oliver, BC (July 26, 2017) – Tinhorn Creek Vineyards is proud to announce that its 2013 Oldfield Series 2Bench Red has been awarded a Double Gold designation by the San Francisco International Wine Competition (SFIWC). Reserved for the finest wines in the world, the Double Gold rating comes from the SFIWC - one of the world’s most respected and longstanding international wine competitions. Now in its 37th year, the competition has been integral in setting the standard for expert wine judging, attracting over 4,200 entries from 31 countries across the globe. This year, the 2013 Oldfield Series 2Bench Red achieved a Double Gold medal and 94 points rating from the SFIWC’s panel of esteemed judges and wine critics. A blend of five Bordeaux varietals (47% cabernet sauvignon, 24% cabernet franc, 20% merlot, 6% malbec, and 3% petit verdot) sourced from Tinhorn Creek's estate vineyards on the Black Sage and Golden Mile Benches, this unique blend has earned its place as an international double gold winner. Its full-bodied, balanced and powerful palate boasts a complex aromatic range from spice and dark fruit to tobacco. The 2Bench Red’s dark fruit and herb-infused profile is a perfect fit for pairing with richer meat dishes. Tinhorn Creek’s 2013 Oldfield Series 2Bench Red retails for $30.49 and can be cellared for up to 15 years. Bottles and cases are available for purchase at the winery or online at Tinhorn Creek’s wine store. Origins with David Hawksworth - Episode 4 - Oliver - Heading up into the heart of wine country David visits with Chef Jeff Van Geest at 'Miradoro' in Oliver. Tinhorn Creek Vineyards is pleased to announce the appointment of Louise Lalor as Manager of Finance & Administration at the winery. British-born Lalor was educated in the UK before she left to work in Europe, eventually settling in Canada and gaining her CPA designation as an Accountant. Lalor grew up working in a family-run business, so she understands the many challenges involved. She brings with her a passion for enjoying wine in addition to international work experience including a three-year stint working at the Food & Agriculture Organisation of the United Nations in Rome, Italy. Now settled in Penticton, Lalor hopes to continue to grow the company through developing Tinhorn’s people and its wines. Outside of work she enjoys exploring her new home with her family and dog. The free-spirited mom of three likes to play soccer, experiment with new recipes and visit her children who are based in New York and Edmonton. 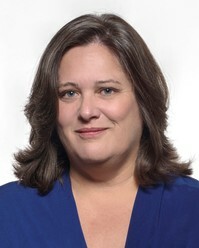 Tinhorn Creek Vineyards is thrilled to announce that CEO Sandra Oldfield has been named as a Top 100 award winner in the Sun Life Financial Trailblazers & Trendsetters category of the Women’s Executive Network’s (WXN) 2016 Canada’s Most Powerful Women. 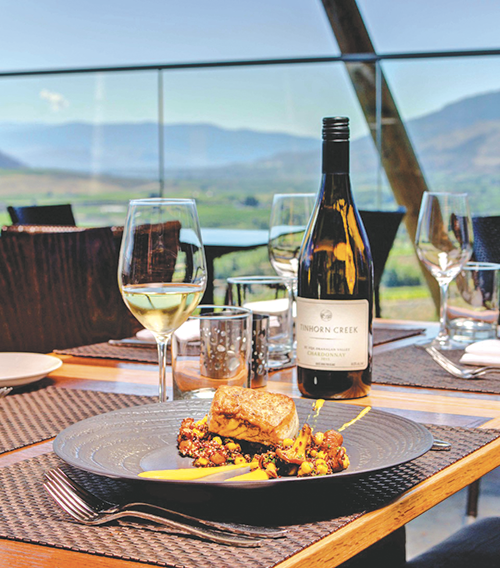 Autumn is an opportune time to visit Tinhorn Creek Vineyards to savour delicious local ingredients while watching grape harvest. Sip the ever-evolving wines that celebrate two distinct vineyards: one on the Golden Mile at the winery, Tinhorn Creek Vineyard; and the other across the valley off Black Sage Road, Diamondback Vineyard. Taste the creative seasonal cuisine at the onsite award-winning Miradoro Restaurant. Enroll in events that herald the harvest. For Hops, Grapes & Grub, September 30th, the Miradoro team takes on the challenge of creating a scrumptious family-style, three-course dinner to match both with wine and ale; each course is paired with a Tinhorn Creek wine and a Cannery Brewing beer. Tickets are $85 inclusive. Partake in another elevated evening of exceptional food and wine during the Okanagan Wine Festival, October 4th, at the Guest Chef Dinner. Miradoro Chef Jeff Van Geest invites Chef Chris Whittaker from Vancouver’s Forage Restaurant to partner in creating a multi-course dinner paired with Tinhorn Creek wines. Dinner, wine and gratuities are included for $125 plus GST. Seating is limited so reserve your spot soon. For these dinners call Miradoro at 250-468-3742 or email info@miradoro.ca for reservations. Another perennially popular Okanagan Wine Festival event is Grazing in the Vineyard, from 11 am to 1:30 pm, on October 3rd, 4th or 5th. Purchase your $55 ticket in advance at tinhorn.com to enjoy a hike through the vineyard with proprietors Kenn and Sandra Oldfield while sampling Tinhorn Creek wines with canapes from Miradoro Restaurant. Afterwards enjoy a three-course lunch by Miradoro. For members of perhaps the Okanagan’s most generous wine club, sign up early for the Crush Club’s Pick Up Party, 1 to 3 pm, October 1st, for an afternoon of music, wine and food. ~ Roslyne Buchanan, Food & Wine Trails Magazine, Sep 2016.